This 30 storey residential tower and adjacent 18 storey apart hotel has changed the Sheffield skyline and AXIS were able to introduced new construction techniques to accelerate the build time. Scheme comprises 120 studios apartments, serviced offices and conference suite on the impressive double height top floor. 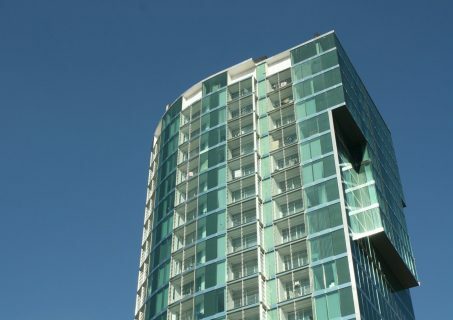 Prefabrication was used throughout the construction and the crisp glass facades were erected at a rapid speed. 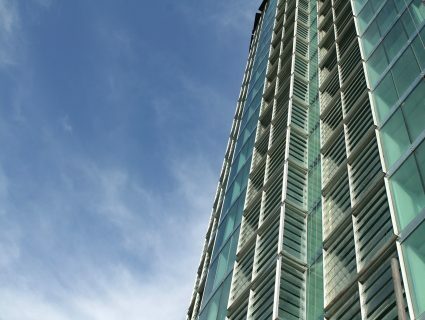 Coordinating the advanced heating and cooling equipment without disrupting the modern glass façade is just one of the successful feats of this landmark building. Phase 1 has been completed and is occupied up to level 22, Phase 2 is due to commence soon.